Time Change from Cy-Fair ISD - Is this an attempt to lower taxpayer participation? In a last minute announcement from School Board Trustee Bill Morris, the time for the Special Board Meeting of the Cypress-Fairbanks ISD Board of Trustees has been changed from 3 pm to 6 pm. The published agenda on the CFISD website still says 3 pm. This appears to be a last minute attempt by the CFISD Board to diffuse public attendance in a meeting they hurriedly scheduled just before the holidays hoping no one would notice or participate. The purpose of this meeting, discussed in yesterday's story on TexasGOPVote.com, is to change the term of office of Board Members and to move the election dates from even numbered to odd numbered years. The effect of these changes would be to lower voter participation in school board elections. Now they are shifting the meeting at the last minute in order to confuse the public and lower attendance at the meeting. What do they have to hide? UPDATE: I spoke with the CFISD Superintendent's secretary, Donna Blowey this morning. She told me the meeting starts at 3 pm. There will be a 2 hour training session followed by a 1 hour break. At 6 pm the meeting will resume with discussion of the election issues. I asked Ms. Blowie how the public was supposed to know when they should attend in order to address these issues. Blowie stated, "I don't know." Does this time change constitute a violation of the Texas Open Meetings Act? The original notice of the meeting barely met the legal requirements of three days notice. How does this change effect legal notice? The meeting will be held in the Board Room of CFISD Instructional Support Center, located at 10300 Jones Road in Houston. It will begin at 6:00 p.m. I will be there for the 6 pm meeting to cover this and bring as much light as possible on the CFISC school board and its attempt to undermine the voting public. Since the meeting is still subject to change, call Superintendent Dr. Mark Henry at 281-897-4077 or email the Board at board@cfisd.net for any questions. Why is everyone beating up on CFISD? Disclosure - none of my family or friends work for CFISD. I am not a supplier nor a contractor to them. I am a customer - my kids attend CFISD. I am a Republican voter. Why is everyone always beating up on CFISD? I don't get it. According to the State of Texas, they are a very efficient and lean provider of education, according to Susan Combs (R), our State Comptroller. We should be beating up on HISD, not CFISD. We should be beating up on METRO, because we pay the METRO tax but get no transit services in the suburbs. I think CFISD is doing a fine job under very tough circumstances. Please leave them alone. 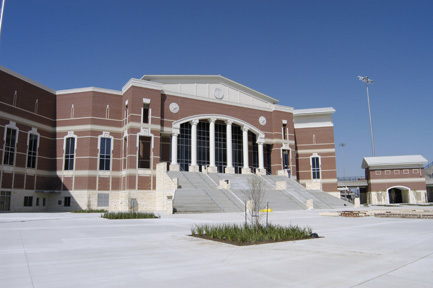 Sept. 19, 2011— Cypress-Fairbanks ISD is one of only 46 recipients—among 1,237 public school districts and charter schools statewide—of a five-star rating by the office of Susan Combs, Texas Comptroller, for academic and financial performance. The Financial Allocation Study for Texas (FAST) was released last week, assigning every school district in the state a rating from one to five stars—indicating success in combining cost-effective spending with achievement of measureable student academic progress. Five stars reflects the strongest relative academic progress combined with the lowest relative spending. CFISD was one of 23 five-star districts to retain its designation for the second consecutive year. The Comptroller’s office ranked CFISD in the 91st percentile of composite progress, which—combined with a spending index of “Very Low”—amounted to the five-star rating. For more information on the FAST rating, please visit www.fastexas.org. I find it interesting you would take a Vote GOP site and use it to bash a school district which is not a government that participates in the two-party political system. I am all for transparency and open meetings, but what steps did you take to resulve your concerns prior to your posting? And the authority with which you state what you "know" as opposed to "think" the intentions of the CFISD administration is uncalled for. According to your update, the Superintendent's secretary was merely trying to inform the public about what time the actual meeting where action would take place is called "good faith effort", not deceit. When is the last time you have done something to HELP public education, not HURT public education?